A look into the practice of breathwork for addictions. Check out this Q&A with a long time practitioner of breath practice. When you think of it, the one action that involves us with the universe is our breath. We breathe in. We breathe out. However, breathing is not restricted to the physical action of taking in air. It can become a conscious means of communication with…well, with our Higher Power. So, if you’re in recovery…how might conscious breathing really help you? We’ve been introduced to a man who’s been looking that question square in the face. His name is Nathaniel Hodder-Shipp, a.k.a. Nathaniel V. Dust; he’s been practicing mind-body awareness for years. In fact, Nathaniel has used a number of techniques – with a special focus on breathwork – to help thousands of people process trauma, disarm negative thought patterns, and maintain healthy and happy relationships with themselves and loved ones. Read on for more on his work using breathing techniques, dreams, and tarot cards (tarot cards?!) as tools in your addiction recovery. FYI, his websites are breathworklosangeles.com and breathworkforrecovery.com Then, feel free to ask Nathaniel your burning questions at the end of the article in the comments section. We love to hear from our readers…so please write in! ADDICTION BLOG: What’s the most frequent request that you receive from someone seeking healing from substance use disorder? NATHANIEL V. DUST: Most clients I encounter just want to feel good in their bodies. It’s not always framed that way, but most requests come down to that. People who struggle with substance use disorders use drugs and alcohol to find relief. Maybe at first it started out as some fun, or just feeling good in general, but trauma and adverse childhood experiences (ACEs) change the way the brain and nervous system develop, so people seek out the comfort of drugs and alcohol for the ways they help them regulate their nervous systems, numb the pain they’re in, and offer feelings of goodness, which they previously may not have been able to experience as deeply as folks without trauma. People who use drugs and alcohol to find relief like that struggle to just feel okay. People want a tangible experience quickly, i.e. instant gratification, just like they were previously able to achieve with drugs and alcohol. Fortunately, breathwork creates relief in just a short amount of time. ADDICTION BLOG: Of the modalities you practice, in your experience, which is if the most effective for coping with/ dealing with addiction? NATHANIEL V. DUST: Breathwork is certainly the quickest and most profound. What I really love about breathwork is that people feel something happen right away. I don’t often encounter clients who don’t have an experience while practicing breathwork. Because addiction is rooted in trauma, adverse childhood experiences, and a dysregulated nervous system, breathwork helps people deal with the core issues surrounding their addictions. Once a person can deal with the trauma and adverse childhood experiences, and learn to regulate their nervous system, it’s a game changer. Things that once triggered them to the point of needing to reach out for a drug or a drink don’t have as much power over them. There’s freedom in that. Studies show the efficacy of voluntary regulated breathing practices and how they can help people learn to diminish the trauma responses locked in their bodies. Breathwork helps people reduce the amount of time they spend in a triggered place. Trauma doesn’t just go away, but you can reduce the time spent in reaction and offer relief without having to pick up their substance of choice. ADDICTION BLOG: What is Breathwork? NATHANIEL V. DUST: Breathwork is a general term describing breathing techniques. The practice I utilize is a two-stage breathing technique done through the mouth while lying down on your back. This practice has its roots in India, as with many breathing techniques, and has been made accessible by my mentor and teacher David Elliott. This technique allows a person to quiet their mind long enough for them to experience what it’s like to be in their body. We’re also helping them regulate their nervous system, which is the foundation of many trauma modalities. During a breathwork session, people are able to drop the defense mechanisms that have kept emotions buried and suppressed for years. Once the defensive construct is lowered, people can access the emotions that have unconsciously driven destructive behavior patterns. Plus, they often walk out of a session feeling a sense of euphoria and relief, which are biggies when dealing with SUDs. 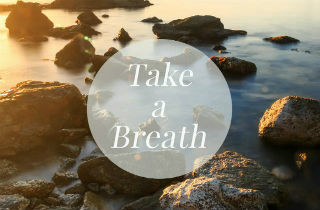 ADDICTION BLOG: How can Breathwork help people with addictions? For example, how effective is breath therapy for dealing with cravings, drugs or other? How does it work? NATHANIEL V. DUST: The wonderful thing about using breathwork is that a person can change their experience in a matter of moments. I often tell clients they’ll find relief more quickly with breathing than it would take them to have their plug deliver drugs. If a person is in a tough spot, they always have access to their breath. They don’t need anything special. To be able to change the way they’re feeling in less than 15 minutes is a priceless tool. There are many medications that can help dampen the effects of the sympathetic nervous system, but none of them correct the underactivity of the parasympathetic nervous system. This allows a person to reduce their anxiety and free themselves from emotional reactivity, which often pulls them back into cycles of recidivism. ADDICTION BLOG: How long does the treatment with Breathwork last? NATHANIEL V. DUST: It depends. I work a lot in treatment centers, so a group can be anywhere from 45 minutes to 90 minutes. I like to breathe for at least 35 minutes. It can seem like a lifetime, but with the right playlist, it goes by pretty quickly. ADDICTION BLOG: Can people diagnosed with addiction practice Breathwork by themselves, or will they always need guidance? NATHANIEL V. DUST: Once they learn the technique, they can practice it at home. I recommend people develop a daily practice of at least 10 minutes. Then they can come do a tune-up with a practitioner from time to time or come to our weekly donation-based support group every Tuesday evening in Los Angeles, called The Recovery Circle. We run these support groups so people of all backgrounds and income levels can access the powerful healing afforded by breathwork. We welcome anyone seeking recovery of any kind; recovery from trauma, substance use disorders, PTSD, or mental illness. ADDICTION BLOG: Many people may be fearful of clairvoyance…How might someone exploring spirituality in addiction recovery understand the work of reading tarot cards? NATHANIEL V. DUST: I usually frame it as a way for people to identify obstacles preventing them from attaining what they truly want in the world. I don’t tell the future, I help people create it. It’s viewed as a woo-woo modality but in the right hands, it’s anything but. We take a look at what may be contributing to a person’s unhappiness or locking them in destructive patterns. If a person comes in, say, looking to have questions answered about a relationship they’re in, we pull some cards and they’ll tell us a story about what’s going on, and identify possible solutions. The tarot is not about fortune telling, it’s about cocreation. ADDICTION BLOG: How can someone identify and develop a similar gift of healing like those you’ve discovered? NATHANIEL V. DUST: I feel most people have these skills already, its just a matter of practice, practice, practice. Each one of us is inherently intuitive, but through conscious practice, we can develop the kind of relationship with their intuition that can change everything for them. Meditation is an important facet to developing intuition, so I recommend people start there. Breathwork is an active meditation that allows a person to access and feel their own energy, which is the basis of intuition. Once you can learn to identify what’s yours versus what’s everyone else’s, you’re well on your way to developing your intuition.